The explosion of artistic energy in the 1920s was unlike anything seen before. Jazz music rewrote all the rules and gave young people a culture to call their own, while the Art Deco movement redefined design in every way, with big, geometric shapes that have never been bettered. 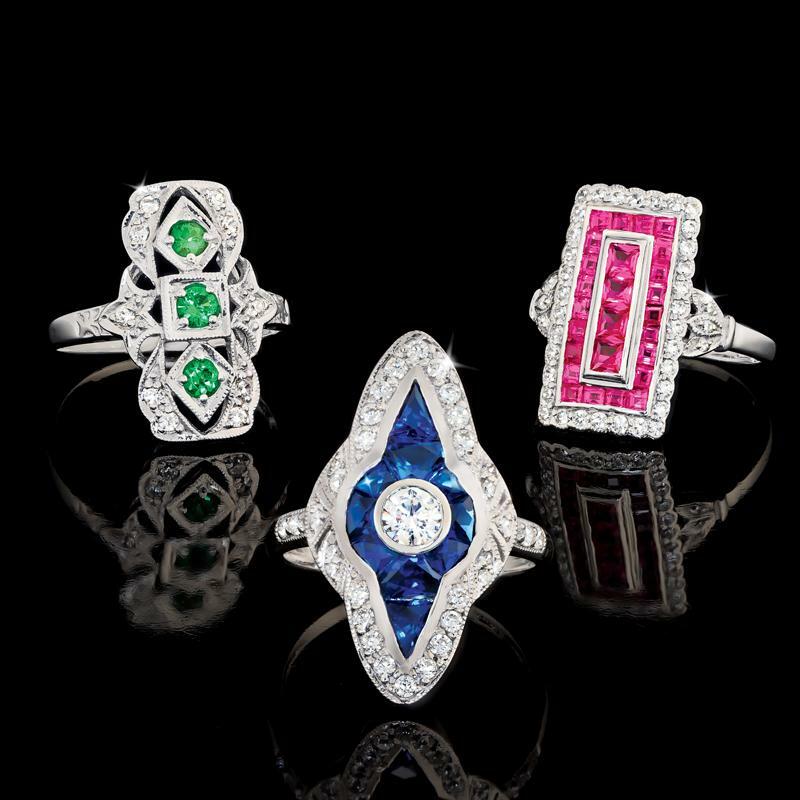 With our trio of Jazz Age Rings, we’ve rewritten the rules of luxury by merging the timeless elegance of Art Deco design with the brilliance of modern science. 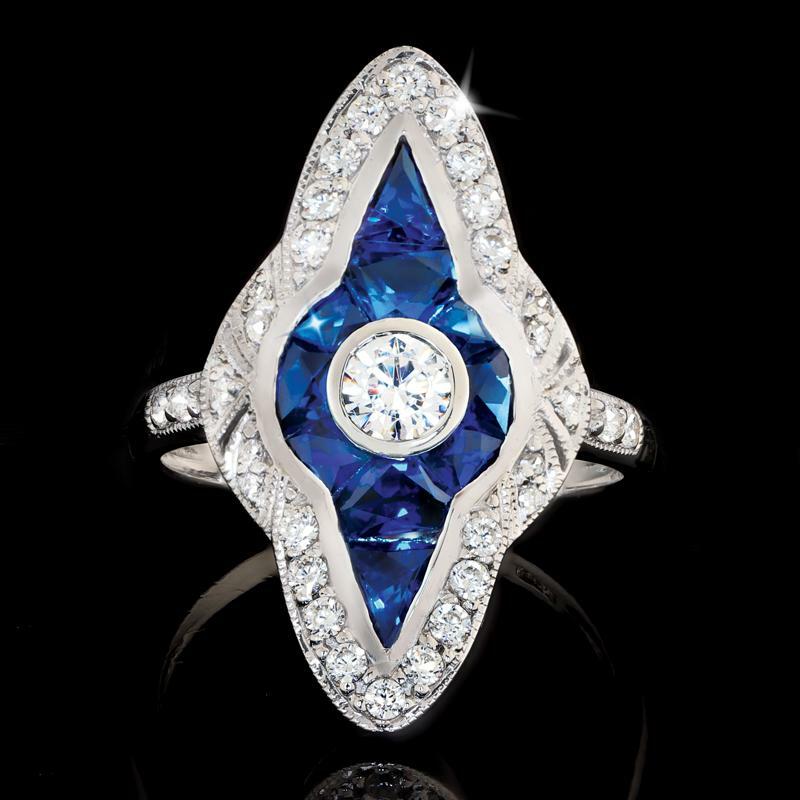 Created in the lab, our Scienza® stones are chemically and optically identical to mined rubies, sapphires and emeralds. In fact, because we control the conditions, Scienza® stones boast superior clarity and color — and at a much lower cost. Another scientific marvel, DiamondAura® adds just the right note of sparkle. 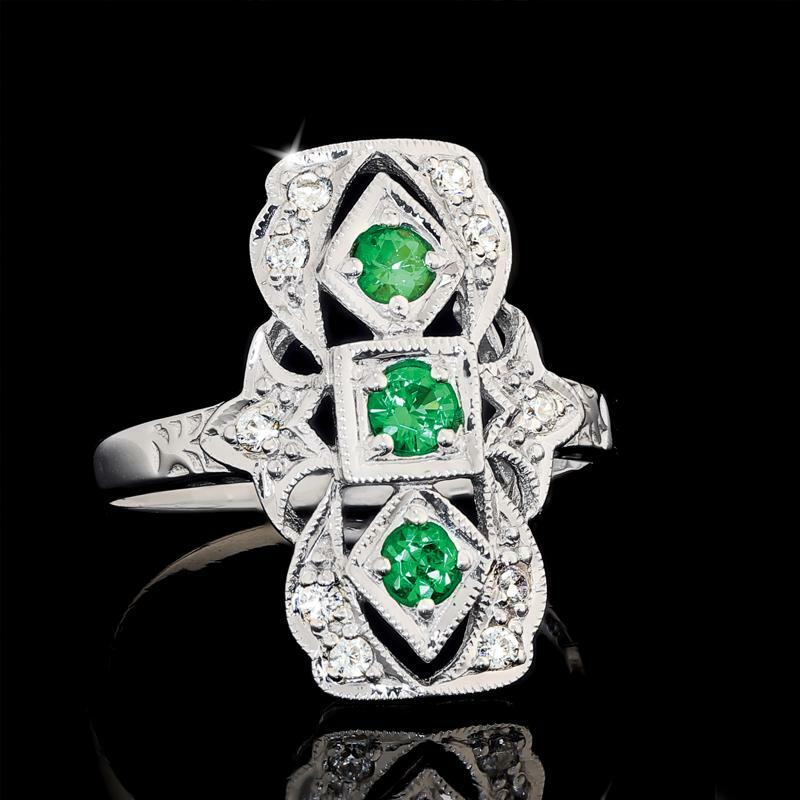 Set in sterling silver, these rings are so Jazz Age you can hear the music as you slip it on your finger. If these rings featured mined rubies, sapphires or emeralds, they would be priced prohibitively. But our Scienza® stones are a genuine gamechanger, bringing luxury to you for a price that breaks all the rules of jewelry retail, just as Art Deco and jazz did in the early 20th century. 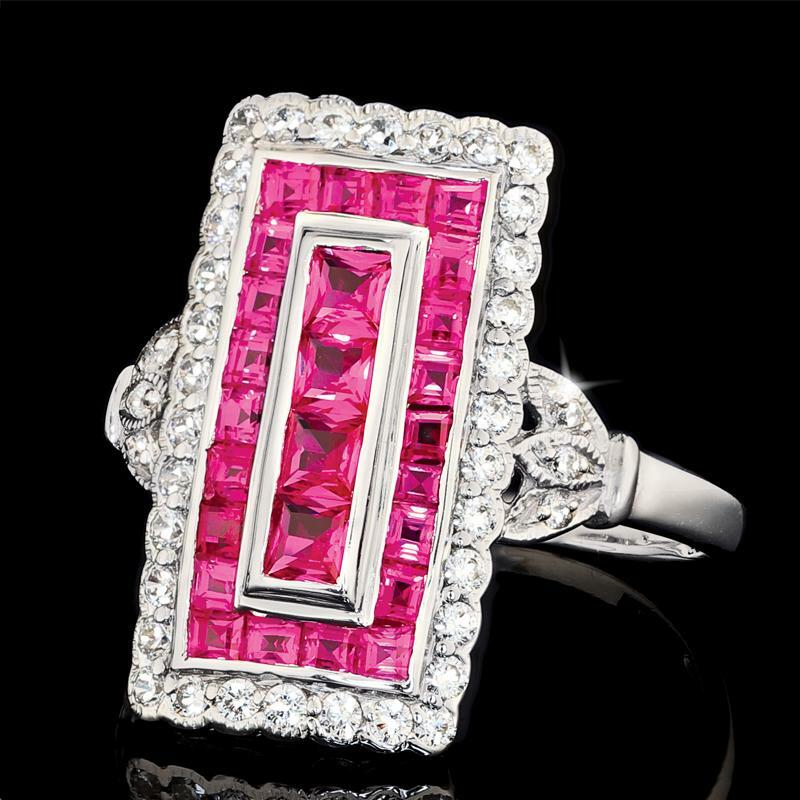 Each Jazz Age Ring is only $149, or bring on the full trio for $399.